It’s summertime and the sun has not stopped shining! With vacation mode on for so many, we decided to fill this edition of the Dr. Joey newsletter with our new favourite summertime products, some easy to make and refreshing recipes and a little Zen reading when by the pool or dock. 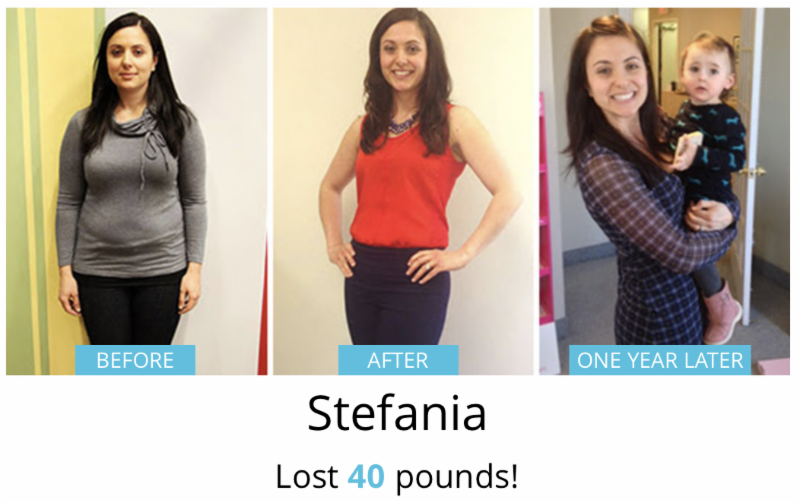 You will also be inspired by some body and health transformations that have recently happened at Shulman Weight Loss! At Shulman Weight Loss, it is our goal to help you lose the weight, naturally... and in a hormonally balanced way. 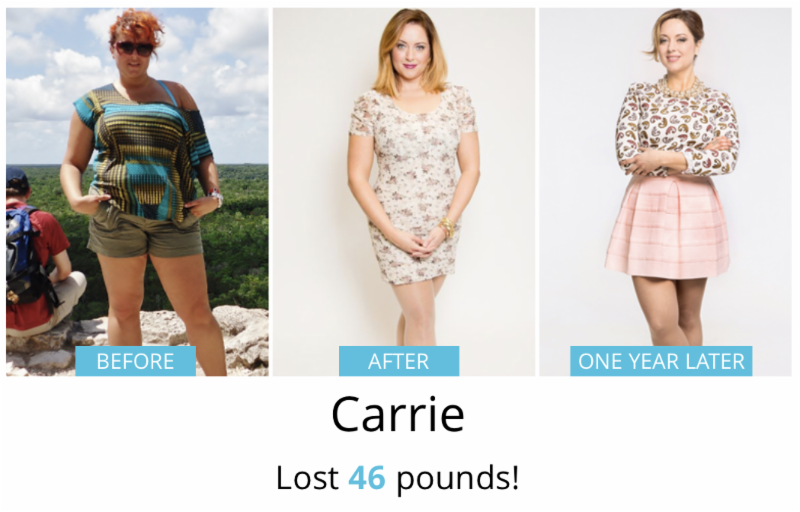 Howeverit is more important to us to teach you a system that will ensure you keep your weight off for life! This is why we always emphasize “Do not join a weight loss program you cannot see yourself following a version of for 5 years or longer!”. So, if you want to lose the weight for life, join Ontario’s #1 weight loss clinics with 3 locations –Thornhill, Toronto and London. Free weight loss assessments available! Protect your skin from sun damage with this effective water resistant face mineral sunscreen that provides both UVA and UVB protection. Made with antioxidant-rich oils and plant extracts, this sunscreen offers hydration and reparative benefits that keep your skin looking its very best. 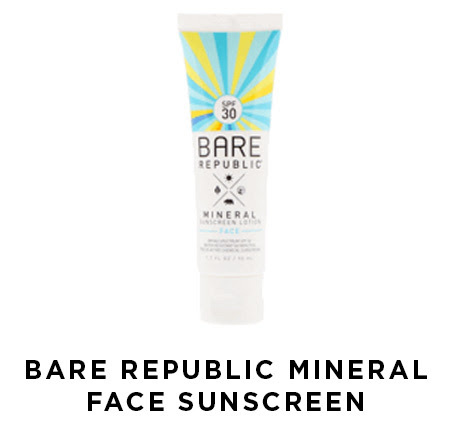 Bare Republic offers a cruelty-free sunscreen that is free of parabens, chemicals, GMOs, and synthetic fragrances Throw a bottle in your purse or car for daily use all summer long. Looking for a refreshing iced tea this summer to keep your hydrated? Look no further! 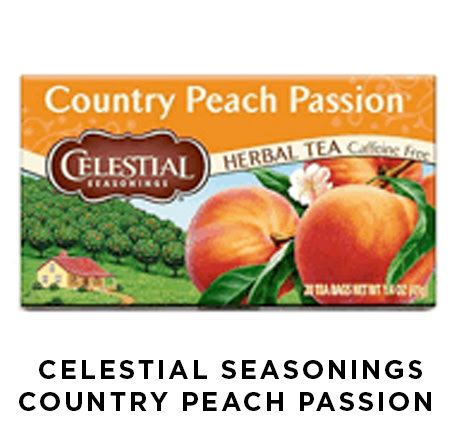 Celestial Seasonings Country Peach Passion caffeine-free tea has got you covered. Blended with a mix of orange peel, rosehips, hawthorn, chamomile, blackberry leaves, hibiscus and peaches – this tea is truly delicious. Wondering how to make the perfect batch? Just pour 2 cups of boiling water over 4 tea bags in a heat-resistant pitcher, steep for 4-6 minutes, remove tea bags and add 2 cups of cold water. Serve over ice and enjoy. 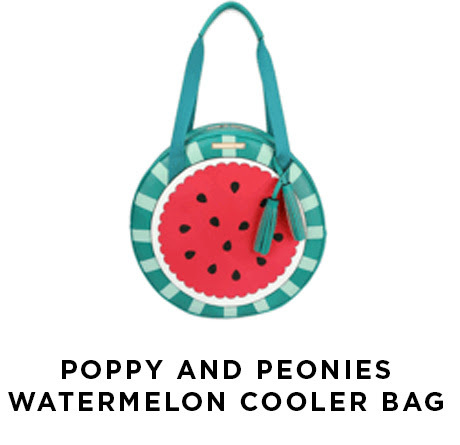 Picnics just got that much more exciting with this bright and colorful watermelon cooler bag. Its insulated design will keep your drinks and snacks cool and its vegan leather makes it durable and easy to clean. The perfect bag to bring as a hostess gift. This is one of my absolute new favorite lines. 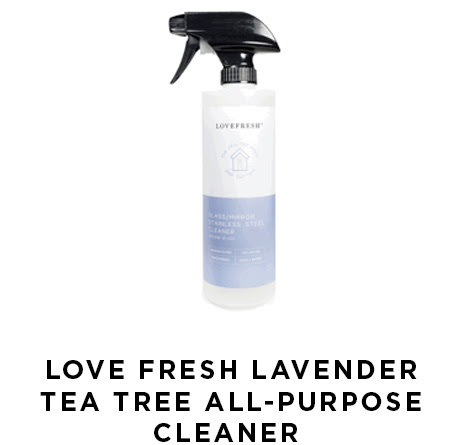 Love Fresh has made a refreshing lavender tea tree all purpose cleaner that is great to clean any part of the house. This cleanser is infused with essential oils and free of all toxic chemicals that are often found in cleaning products. All Love Fresh products are made in Canada and this all-purpose cleaner comes in eucalyptus mint and grapefruit lime as well. 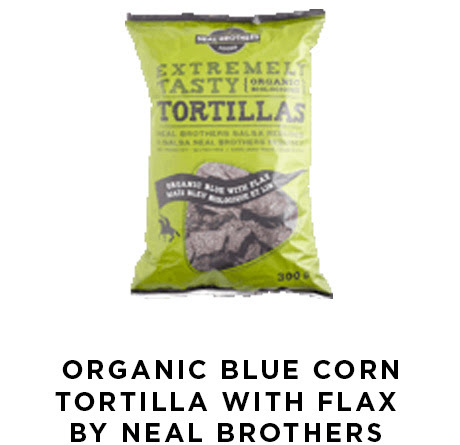 These crunchy flax chips by Neal Brothers are so delicious, it makes it hard to believe that they are made with only 5 ingredients – blue corn, sunflower oil, flax seeds, sea salt and lime. The perfect snack to keep on hand this summer paired with guacamole, hummus or bruschetta. Mix the oats, chia seeds, almond milk, and vanilla/maple syrup together until well combined. 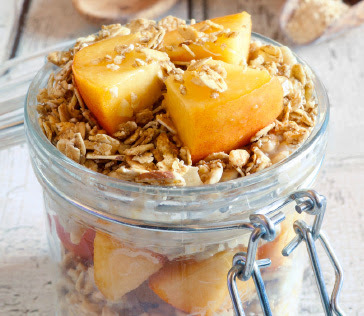 Place in a sealed or covered container and keep in refrigerator overnight. In the morning, stir in the fruit, serve cold and enjoy! Rinse endives and cut in half. Place into bowl and toss with ½ tablespoon olive oil. 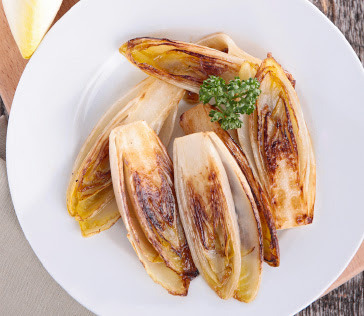 Place endives onto grill over high heat and grill for 6-8 minutes, until endives are charred. Add endives back into bowl and toss with the other ½ tablespoon of olive oil, lemon juice, sea salt and pepper. Sprinkle with parmesan cheese and enjoy while still warm. 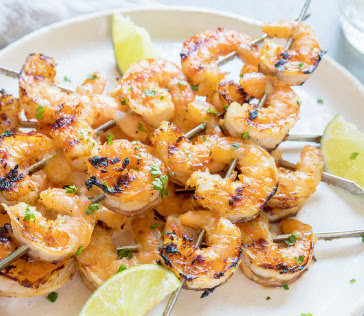 In a medium bowl, add shrimp with grape seed oil and sesame oil. Toss to coat. Grill over medium-high heat for 4-5 minutes, or until cooked through, flipping halfway. In a blender, puree berries and water until smooth. 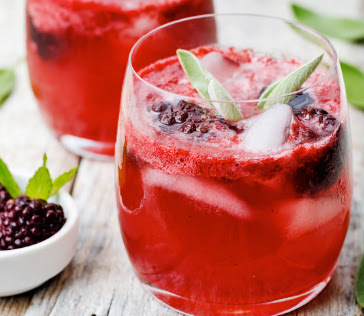 In a pitcher, combine raspberry puree, orange juice and sparkling water. Stir and garnish with mint leaves before serving. Meditation is a proven method of finding calm and coping with the crazy, busy world we live in. 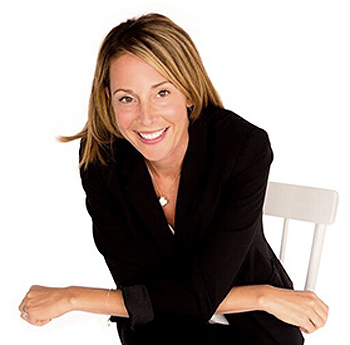 Amy Leigh Mercree explores the history of this ancient practice as well as its practical applications—including decreased anxiety and a more contented life. 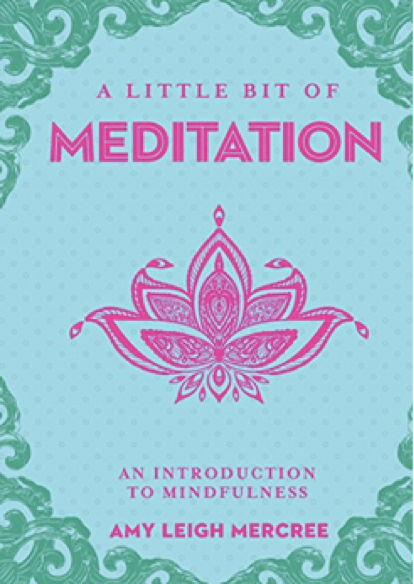 In addition to outlining the physical, emotional, mental, and spiritual benefits of meditating, Mecree includes a selection of easy-to-follow guided meditations that can be practiced at home. Available where fine books are sold.